4 inch squares --- Help! Thread: 4 inch squares --- Help! A friend gave my hundreds of 4 inch squares in Red, Black and Grey batiks. I am looking for a good pattern to use them with. Any ideas would be greatly appreciated. Somewhere in OZ sewing like a fool. I'll be watching this thread. My dh gave me 3 packs of 4 inch squares of Moda fabrics that I can't figure out how to use. Hope someone has an idea for you and me! First one I thought of is Disappearing 9 patch. Anything that uses squares ... just that your proportions will be different! I made this one years ago for my Sister in law. It is 9 squares sewing together, the cut into 4 large squares. Then arranged by turning the squares around. I don't remember the pattern name. Here is a link to dozens of patterns for charm squares. Last edited by Chasing Hawk; 05-16-2013 at 07:03 AM. These make excellent "10-Minute blocks". 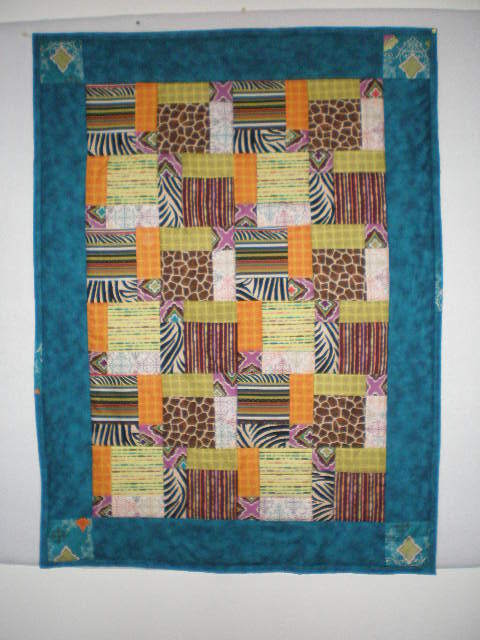 4" squares can also be organized into 4-patches or 9-patches, then sashed. They can become HSTs and turned into any number of great combinations. I love working with 4 and 5 inch blocks. They are so versatile. Have fun! They used 5 inch squares but 4 would work just fine. A variation on Around the World. So many choices for hundreds (WOW!!) of batiks. How about a batik diamonds pattern? Google 'Batik Diamonds Quilt patterns'. Amazing pics and ideas come up. There is even a Youtube tutorial on squaring them up. There is a batik diamond pattern by Barb Sackel that is one of my favorite batik quilts to do. Very easy to duplicate without the pattern. So glad I was snooping around today. I just bought a bolt, yes a bolt, of Kona Cotton Black for my stash and this will be a great idea when the DH bauks at it, that I will be using up my scraps with it doing this pattern. What a wonderful idea. Trip around the world. I can think of tons of quilts you could make. I just don't know all their names. Disappearing nine patch although I think I would add either some red or white to make it "pop" and not be so dark. How about an Irish Chain? How about you put them in a paper bag, shake them, and pull out squares randomly? That would make for a great modern quilt. Missouri has several 4 patch videos. Chasing Hawk, what you have there is a Disappearing 9 Patch. It's beautiful. I was thinking of a Disappearing 4 Patch. Make a 4 patch of lights and darks on opposite corners. Make a cut about 1 inch on each side of each seam. Now flip or exchange the 4 middle pieces that are tiny strips of light and dark, (not the center piece), and sew that resulting 9 patch back together. They are so cute. If you sew these resulting squares together as is, you get a secondary pattern. Not sure you know of this online free magazine. You have to make a login name and password, but it is free. The summer 2010 issue, pages 78-79 has a good one for your squares. Article name is Just Perfect. Maybe a twister? I ordered that template months ago, but have yet to use it! If you use half-square triangles your options are limitless as to how you put them together. Have fun.